Why a strong product brand is more important than a corporate brand? A strong corporate brand or a strong product brand? As I followed the discussion, I looked back at my experience with brands and realized that it was indeed a though provoking question and the answer is very difficult to produce. In my opinion having a strong product brand is very important for the consumer markets (B2C). Most mature firms have a very robust branding process for their products and ensure that the products have a brand identity of their own. Now let me explain with a few examples. The best example that comes to my mind is definitely Hindustan Unilever (HUL). HUL works on the house of brands concept and all their brands or products have distinct brand identity. For example a Lux is very distinctively positioned as compared to a Dove though both are essentially soaps. Both have different brand attributes, target markets and campaigns. 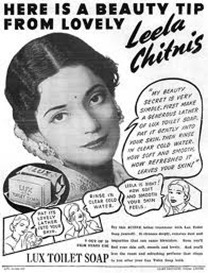 Lux has traditionally used film stars like Leela Chitnis to Katrina Kaif while Dove has used real users from the Urban Middle class to show case its attributes. Even in the detergent segment Rin, Wheel and Surf all have their own distinct identities. Other important firm that uses this strategy is Procter & Gamble (P & G) with Ariel, Tide and Olay. But what about the corporate brand? Well some companies emphasize on the corporate brand and will not let individual products have a distinct identity. The classic case is Nirma, which uses the name Nirma with all its products including the B School that is funded by the corporate. A look at their soap portfolio says Nirma bath soap, Nirma beauty soap and so on. So the emphasis is on Nirma. So in this case clearly the emphasis is on Nirma and not on the individual products. I believe this is more due to the lack of investment in creating individual brands and the need for corporate brand to support each product. As I tried to research other brand I came across another strategy which I would call a Hybrid between the two discussed above. Toyota uses its name along with most of its products like Toyota Camry, Toyota Corolla and so on. So this definitely comes in the corporate brand strategy. But Toyota also has Lexus which is a separate product and has its own identity. So many don’t know that ‘Lexus’ is a brand from Toyota and has its own branding which is very distinct from Toyota. Also Lexus is positioned in the luxury segment hence the need for a distinct brand. Other example of this kind is Nokia, which usually only has numbers to designate the various models but has a brand called ‘Vertu’ which is positioned as a distinct brand. Now even among the house of brand strategy there are brand extensions and line extensions, like Dove Shampoo but the question is what would be the better strategy? In my opinion giving a product its own identity is far better than using the corporate brand to promote it. For one, it de-risks the ill effects that any brand may come under. I am sure the negative publicity that Toyota received during the recalls would not have rub off on the ‘Lexus’ brand. Secondly giving a product its own identity increases the flexibility of the brand. It can help reposition the brand and gain greater market share than having to go through the expensive proposition of a corporate brand refresh. Thirdly a brand exists in the mind of the prospects; it is very difficult for the corporate to be very thing to everybody as opposed to a brand or a house of brands. A classic case to this point was General motors and how Alfred Sloan had staggered the various brands to ensure that an individual had a car for each stage of his life according to his economic status. Anything else is just an easy option to just push the corporate brand which is not a viable option in the long run. @Amit Thank you, I am glad that you liked the article. yes, I really liked this thought. excellent article! One of the best which I have come up recently! @Priya that is a good example of the strong corporate brand supporting the product. Thank you for sharing that example. @Jagannath Thank you for your comment, I am glad you liked the piece. its a gr8 article n says some real stuff. well I agree to tha point that giving tha products its own identity is essential coz’ if the corporate brand faces any issue due to any of the unseen reasons, atleast this product can be safe gaurded and creat an image of its own and help the Corp. brand survive..
That’s very true. every point the article speaks about. For example, the UTI equity fund was named by ET as one of the top 14 equity funds in India which helps their brand image. I checkd it on their Fb page – http://www.facebook.com/UTIMutualFund. It’s a well written article. Rightly pointed out sir. But i’m amazed at the way TATA, which is a Branded house is still able to capitalize on it’s TATA brand. Despite of the fact that they are present in almost all the industries, the Brand’s essence is still not lost. well I agree to tha point that giving tha products its own identity is essential coz' if the corporate brand faces any issue due to any of the unseen reasons, atleast this product can be safe gaurded and creat an image of its own and help the Corp. brand survive..
That's very true. every point the article speaks about. For example, the UTI equity fund was named by ET as one of the top 14 equity funds in India which helps their brand image. I checkd it on their Fb page – http://www.facebook.com/UTIMutualFund. It's a well written article. There may be several reasons for which individual brand names is used inspite of having strong family brand name. For example, Heinz, a leading global food manufacturer with a very strong family brand also operates many well-known individual brand names such as Farleys (baby food), Linda MacCartney Foods (vegetarian meals) and Weight Watcher’s Foods (diet/slimming meals and supplements). The reasons could be multifold as rightly pointed out by you: a) competition in new market segment where failure could turn the tide towards the family brand washing it away b) inappropriate positioning of the family brand in the target market. In my perception a “Hybrid” or “Combination” brand name would be apt as it can provide the consumers some association with the product as well as provide a distinct identity. Consumers will know what they will be getting out of the product through brand attributes generating brand equity. This works well in the food industry. Brands such as Britannia, Kellogg, Cadbury does it well. This will also allow for proper demarcation between brand and line extension. Virgin group and Ralph Lauren’s Polo are classic examples of brand extension. Consumers are becoming more brand aware and they definitely look out to buy a product/service form a renowned brand.